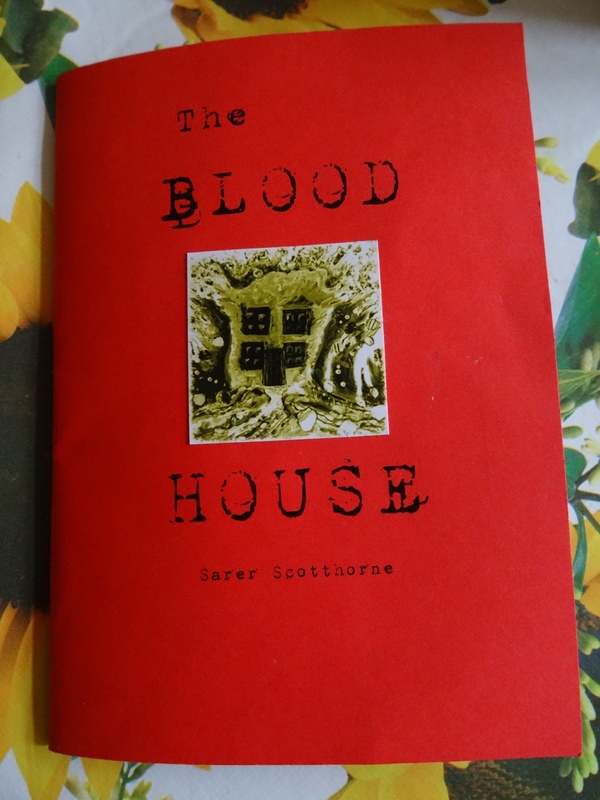 This is Sarer Scotthorne’s first collection, published by Hesterglock Press in January, a ruby which dropped into my palms at the Bristol launch of Boscombe Revolution 3. These poems demand to be read in one go; the pages are bursting with movement, quaking with emotion and physicality, fighting to break free of their constraints. They wrangle with the stuff of life, of our closest relationships: grief and anguish; disappointment and despair; longing and desire. There is no holding back – the language is forceful, honest to the point of brutality, making for a challenging but visceral one-sitting read. “down the lead pipes, rattling the fragments left in shattered windows. Imagery juxtaposes machinery and corporeality, combined with inner city landscape; the decay of industry, concrete images of the mix of human detritus from sweat to beer cans, with perennial weeds- nature’s creeping into the liminal spaces we barely notice but recognise as part of our environment in contemporary urban life. Places of transformation. Blood runs through this collection as the red thread of life. Cold metal and warm blood. Blood as a signifier for wounding and loss, of fear; blood as a threat; blood as heat; blood as contamination; blood as life; blood as acknowledgment of a beating heart, of reawakened desire; as life giver and as revival. 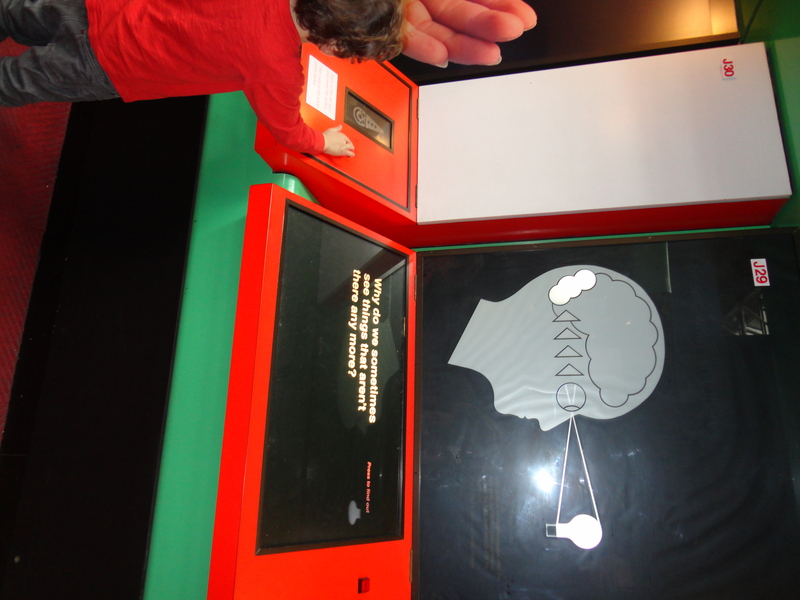 The Blood House is a courageous journey, pulsing with truth. Read it. It’s always exciting when you receive a copy of a publication that you have a poem in. But when it arrives through the post, wrapped in black and holographic dots, a tissue paper version of the opening credits of the original Star Trek, then you know it’s a goody. 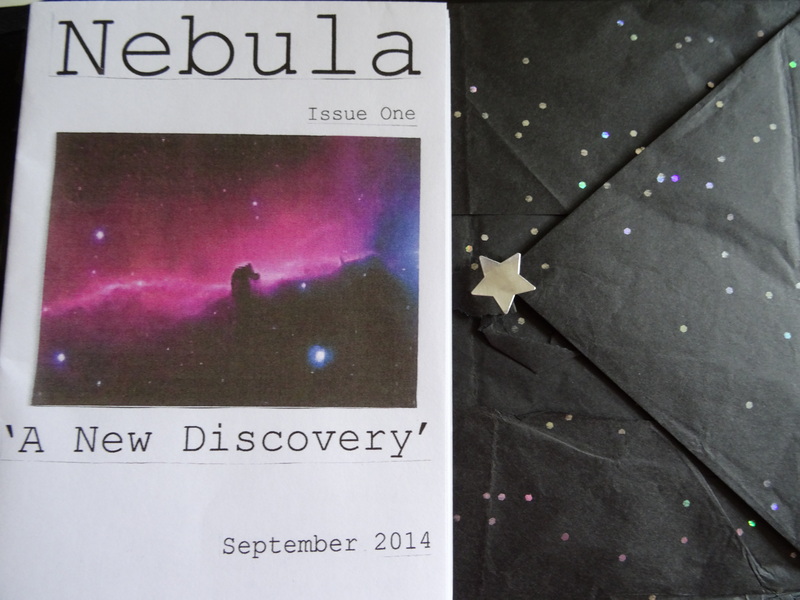 Nebula is a new zine, and Samina Bhatti, its editor, has put together a bijou first issue, which at A6 size, and just 8 pages long, manages to pack in poems, a dvd review, and a cartoon. The zine has a clear remit- sci-fi, with women-only contributors. 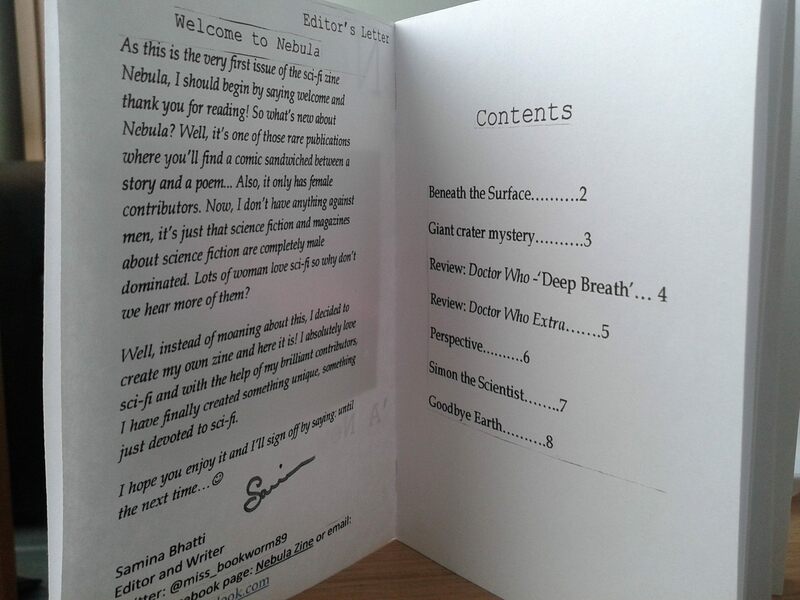 So, if you would like a FREE copy, or would like to submit work to the next issue please email nebulazine@outlook.com, or find out more via the Nebula Zine Facebook page. PLEASE! Spread the word- we cannot afford to lose it!